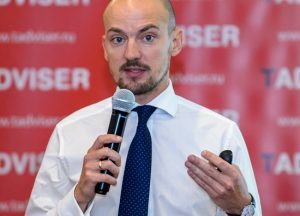 Blockchain will hardly be able to simplify the storage of digital documents, but is more likely to entail new data storage problems, Ivan Nagornov, Deputy Director for Business Development at Directum, a leading Russian ECM platform developer, told the TAdviser SummIT conference on November 29. “Adopting blockchain for electronic data management raises many questions. Vast arrays of documents will be uploaded into the distributed registry. What servers will store all this information? Where’s all this hardware coming from? Where will those data nodes be located? All right, they can be placed at data centers. But this will not solve all the problems,” Nagornov explained. According to him, all modern blockchain solutions are still legally insignificant. “Also, there is another problem. With the adoption of blockchain networks for data storage, users do not stop keeping their data on other systems. As a result, their data will continue to be duplicated,” the expert added. Today, most of the data is stored in the same place where it is created, such as in the ERP (enterprise resource planning) or ECM (enterprise content management) systems, Nagornov noted. “So there are many problems. The same documents are duplicated in different systems. Once you start keeping your data simultaneously in multiple systems, it becomes unprofitable. On top of that, old documents are often not deleted when they should be. So a separate system is needed to store data from different IT systems,” Nagornov said. He also pointed out that the emergence of such a system in the future will entail the need to integrate different IT systems and lead to more security and data protection issues. “Another problem is that basic digital signatures are only valid for the lifetime of the certificate, typically for one year. Therefore, long-term signatures will have to be obtained,” the expert concluded.